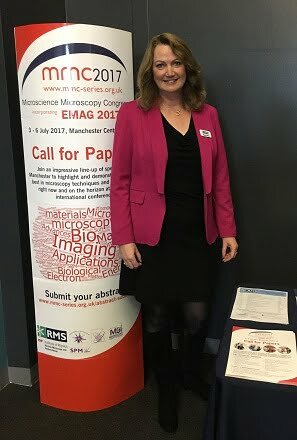 OXFORD, England, Feb. 1, 2017 — The Royal Microscopical Society (RMS), an academic association for the promotion of microscopy, has announced the appointment of Allison Winton as its chief executive. ”I feel incredibly honored and privileged to be in this role, and I'm looking forward to steering the society over the coming years,” Winton said. As a member of the RMS staff for 30 years, Winton directed international events, established the Corporate Advisory Board and organized the society’s largest congress. “For me, the top priorities for the RMS are to serve the needs of our members and to continue being a facilitator and organizer of microscopy events and networking opportunities, which I feel go hand in hand,” Winton said. A registered charity, RMS is dedicated to advancing science, developing careers and supporting a wider understanding of microscopy.